Sho: Hello, sir. Can I help you? David: I hope so. I’m calling but nobody is answering. Sho: Are you a guest? David: That’s correct. I’m David Callahan. I have a reservation. Sho: Oh, the guest from America! David: That’s me. I got here a day early. Can I stay here from tonight? Sho: One moment, sir. I’ll check right away. (on tha phone): Grandma! It’s Sho. Mr. David Callahan from America is here. He is here a day early. What should I do? David Callahan, a guest from America, arrives at the ryokan a day early, and asks, "( )( ) stay here from tonight?" Sho calls his grandmother to check. Yoko: That’s great! Please tell the whole world about our festival. Yoko takes David to Sakurayama Park. He says to her, "I ( ) ( ) landscape photography." He came here to film the sakura festival. Sho: Hey! Miki! What did you think of our wadaiko performance? Miki: I thought it was amazing! You played the taiko very strongly, Sho! You looked great. Sho: Thanks! Hey, are you going with anyone to the Sakurayama light show tonight? Yota: Hi, Miki and Sho! Miki: You’re late, Yota! You missed Sho’s wadaiko performance. Yota: I’m sorry. My soccer practice finished late. Miki: Oh, I have an idea! The three of us can go and see tonight’s light show. What do you think? Miki ( ) Sho's wadaiko performance was ( ). She said " You looked great." Miki says the three of them can go and watch the light show at night. Yota: Even at eight, there are a lot of people here. Sho: Look at the river, guys! You can see cherry blossoms on it. Miki: It’s so beautiful. 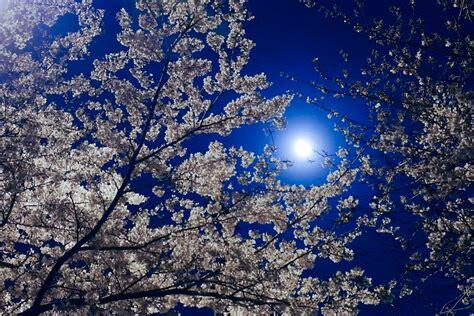 I love watching sakura at nighttime. What a great idea! Sho: Thanks! My father is in charge of the light show. He will be happy to hear that. Yota: This is the perfect place for a date, right, Sho? Sho: Y…yeah. I’m sure it will be really romantic. Miki: It’s too bad I can’t go on a date. Miki: Because I’m studying for entrance exams. I have no time for love. Miki loves watching sakura at nighttime. Sho is happy because his father ( ) in charge of the light show. Yota thinks it's the perfect place for a date, but Miki says, "I ( ) no time for love." Can I take a look at the picture? You are holding a perfect picture. Can I have another cup of coffee? He specialize in Japanese history.